Originally invented by Larry Dahlberg and manufactured by Hedron Company of Minnesota. A thin, flat tinsel mylar with a marabou action. About the time that Gary LaFontaine was touting Antron, John Bett's was touting Z-lon. 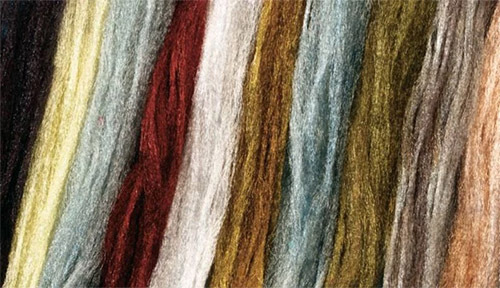 Both are synthetic fibers used within the rug industry. Used for wings, parachute posts, wingcases, tails and shucks, often substituted in place of antron. Evasote is a closed cell foam made of ethyl vinyl acetate. It is soft and compressible with sheet thicknesses from 1/8" to 1". Comes in three sizes: small, medium, and large. Used for ant bodies, beetles, stoneflies, extended bodies. 12 colors available. Similar to latex, thin and flexible. Used for trailing shucks and scud backs. Printed translucent sheets that stretch. 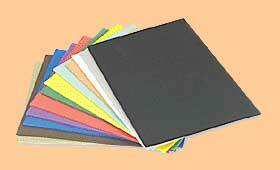 A paper backing allows the material to be cut to any shape or size. Used for wingcases, scud backs, nymph carapaces. Can be used as a substitute for Swiss Straw. 22 colors available. 3 sizes: Micro, Midge, and Standard. Translucent hollow vinyl tubing. Used for segmented bodies and ribbing. Some tiers will add material within the tubing for special effects. Stretchable to a thinner size. 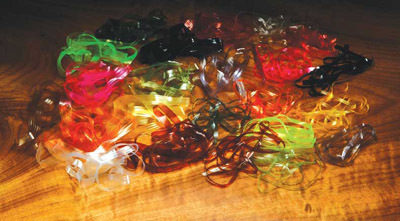 Similar products are Larva Lace and Liquid Lace. Available in 3 sizes: small , medium, large. 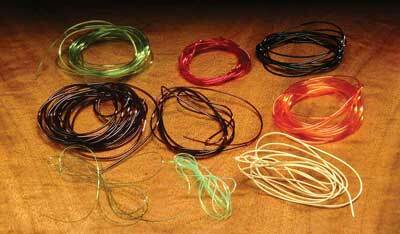 Colors are Silvertone, Gold, Green, and Copper. Also available in pearlescence and holographic. Used for small minnow bodies. 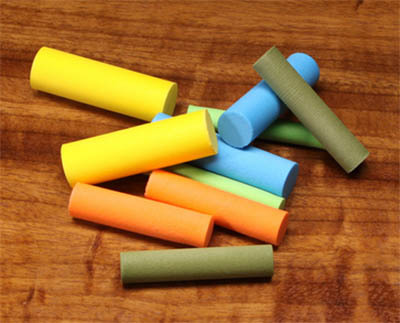 Material can be marked for additional coloration. 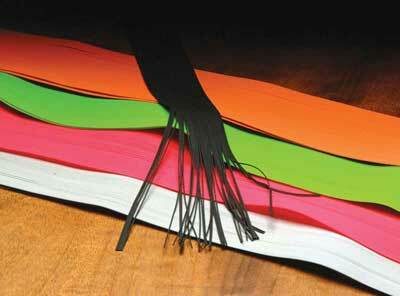 Rubber Hackle is made of Butyl Rubber. Very durable but somewhat stiff. It comes either round or flat and in usually three sizes : standard, small , and micro. Variations are available with Grizzly barring and color flecks. Colors: black, white, chartreuse, yellow, red, cream,pink, brown, olive, purple orange, fluorescent yellow, fluorescent orange, fluorescent red, kelly green, blue, gray. Crazy Legs are made of Silicon Rubber. 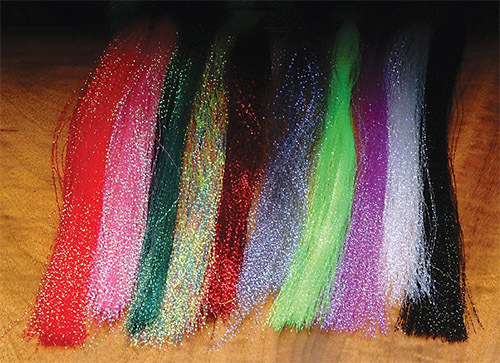 They are softer and more pliable than rubber hackle. Most have color speckles embedded within the material. 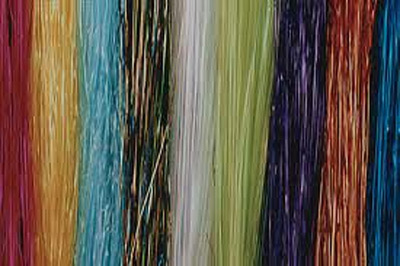 New variations of the product include fluorescent tips, barring, and mottled natural colorations. 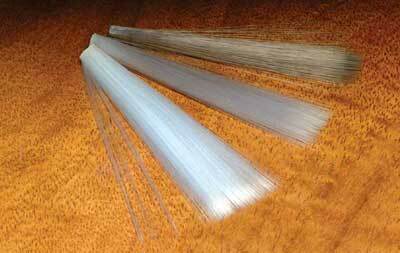 Spandex Floss (ie Flex Floss, Life Flex) is a thin strand of spandex material. It is more durable and transluscent than Rubber Legs. Comes in many colors. 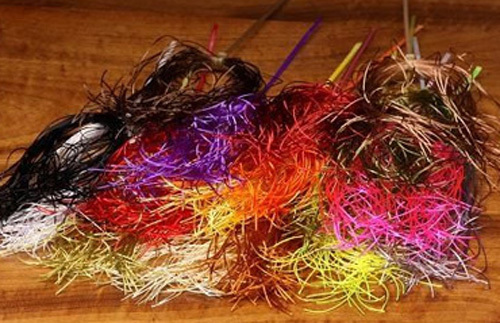 Used for legs, feelers, tails, and ribbing, but also for bodies, tied and wrapped similar to quill bodies. Ultra thin fibers. 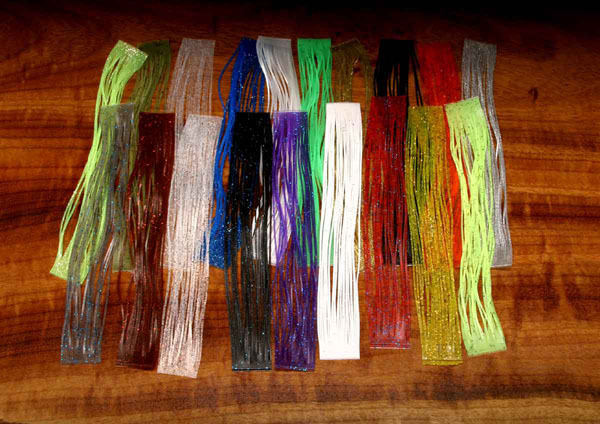 Used for tailing materials and legs or feelers on smaller flies. 7 colors available.